How does a pilgrimage differ from a religious tour? Beware of companies that label a religious tour as a ‘pilgrimage!’ Religious tours are simply visits to various sites of religious significance – perhaps even the same places where we might take our groups on pilgrimage. However—as mentioned above—pilgrimages are not merely something we do for ourselves, but for the good of the entire world. When we take groups on a pilgrimage, we have several meetings beforehand to prepare not only logistically, but spiritually and mentally. We particularly use Scripture and Church teaching to form ourselves. Before departure, we ask our family, friends, and acquaintances for their prayer intentions, so that we can carry them on our journey. 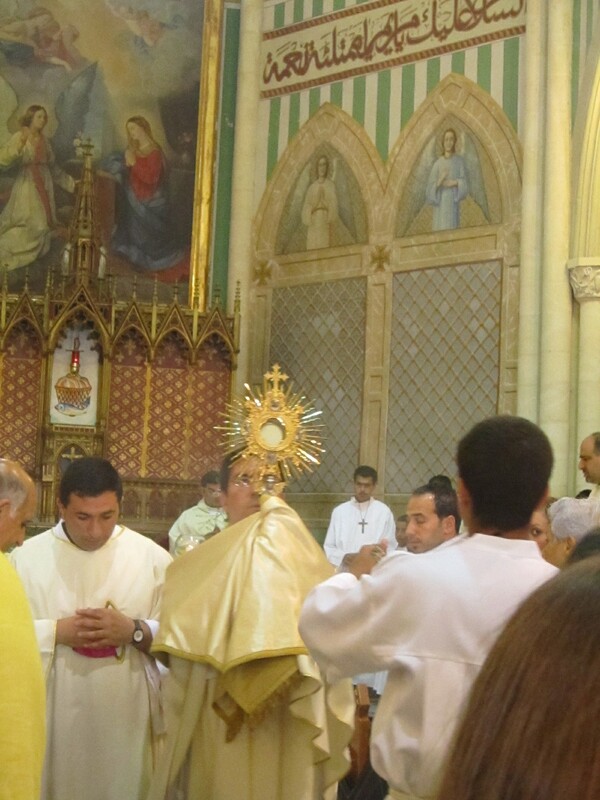 During the pilgrimage, we offer those prayers at the holy sites that we visit. We take time to meditate at each place, using Scripture and Tradition. Our spiritual director, a priest, will be available for Confessions and individual spiritual direction, as the Holy Spirit works in each pilgrim. Daily we celebrate the Mass, pray the Rosary and partake in other devotions. So…is prayer the only difference? Not quite! Besides prayer and spiritual preparation, pilgrims also differ from religious tourists in their disposition and their acts of solidarity with the local Church. Imagine you’re on a tour abroad, waiting in a foreign airport with your entire group. You find out that the airline you’re scheduled to use has gone on strike! As a tourist, you might be downright angry with the tour company, the airline, and the whole situation! Everyone is split up into different airplanes on various airlines, and you hope that you’ll find your way back to the group. That night, everyone goes to bed upset and hopes tomorrow will be easier. Well, we’ve had a similar situation happen to our group! Except, instead of getting angry, we all decided to sit down together and pray. While Mary Jane worked with the person at the ticket counter, she had a group of pilgrims behind her praying the Rosary and hoping for the best. In the end, we were able to get a flight where our pilgrims would stay together – and we praised God for the opportunity to grow in patience! See how a pilgrim’s disposition can make a difference? You can also see the difference in some of our stops along the way; how many tours would have their groups spend forty minutes in the desert? We’ve brought our pilgrims, who deeply appreciated reflecting on Jesus’ temptation—in the very place it happened.